Body fat monitors estimate the percentage of your weight that consists of fat. When trying to lose weight, or trying to maintain a healthy lifestyle, a reliable monitor can prove more helpful than a traditional scale. When you're trying to lose weight and get into shape, the numbers on a scale only tell a small portion of the story, but a body fat monitor can show progress even when the scale doesn't budge. There is no shortage of body fat monitors to choose from, many of which are reasonably priced and do a fairly good job of estimating body fat percentage. If you're looking for the very best monitors, look for monitors that have been praised by people who have experience with them. 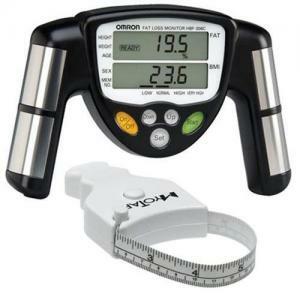 An Amazon bestseller for body fat monitors, the Omron HBF-306C receives high praises for its ease of use and consistent results. Reviewers on Amazon say that the unit is very easy to use and the accompanying instructions are simple to follow. This unit stores information for up to nine users and offers an additional "athlete" mode for muscular users. Measurements are easy to obtain; simply grip the handles, press the button, and stand still. Body fat results are provided in seconds. Priced under $40, this monitor is an affordable option. Escali's USHM180G Scale is designed for use on hard floors, making it ideal for the bathroom. An attractive piece of equipment, this scale will record both weight and body fat percentage and keep data for up to four users. Water weight is also recorded for each user. The scale can be purchased from Macy's. Reviewers on the store's website like the multiple measurements this scale can take, as well as the look of the scale. 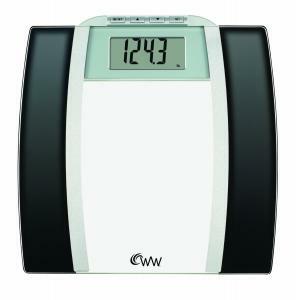 Reviewers also state that the scale is consistently accurate and is very simple to use once it's initially programmed. The price tag on this monitor is around $80. Available from GNC, the Accu-Measure Fitness 3000 is a traditional, non-electronic option for measuring body fat percentage. Follow the instructions included to pinch areas of fat on your body to ascertain an estimate of body fat percentage. Reviewers on GNC's website praise this equipment for being easy to use and effective. Most state this is a quick method to check body fat percentage without the use of batteries or complicated setup requirements. At around $20, this small piece of equipment is an excellent option for fitness professionals who travel to visit clients. If you want a stand-on scale that will measure body fat and weight, but you are afraid your high weight will make the scale inoperable, the Weight Watchers Body Analysis Scale by Conair is a good option. 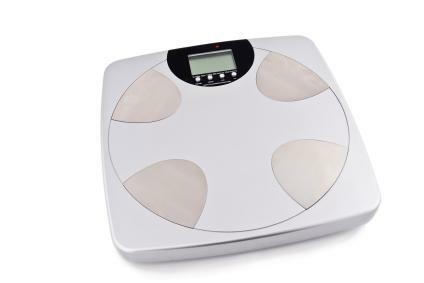 Individual users up to 350 pounds can use this scale and receive accurate body fat measurements along with weight, bone mass, and water weight. Reviewers on Walmart.com state that though the initial setup specified in the instructions must be followed precisely, the subsequent use is quite easy. Priced right under $30, if you purchase this scale through Walmart's website you can have it shipped to your local store at no charge. Cosmed's Bod Pod is considered one of the best options in body fat measurement. This is not the type of equipment you purchase for use in your home, but instead is used by physicians and weight loss professionals to obtain an incredibly accurate measurement of a client's body fat. Results are stored in software and present comparisons with subsequent tests, allowing users to track their progress. Visit Cosmed's Test Site Locator to find a facility offering these measurements. Getting into shape can seem like a long and daunting task, especially when you can't see any difference with your weight. Monitor your body fat percentage in order to see the real difference you're making with your body to help keep you motivated as you get stronger and leaner.